Kangana Ranaut’s highly anticipated movie Manikarnika: The Queen Of Jhansi hit the theatres yesterday, January 25. 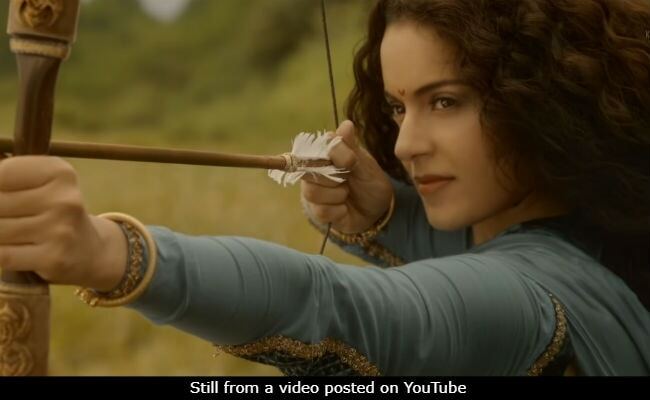 The period drama which features Kangana as Rani Laxmibai opened to a positive response from the audience and critics. Not only this, but the recently released movie has also performed well at the box office on its first day. In a tweet, trade analyst Taran Adarsh stated that Manikarnika had a box office opening Rs 8.75 crore. He also wrote that the film had an ordinary start but it picked up pace towards the evening. And, with today being Republic Day holiday, the period drama should witness a big turn around. Helmed by Krish Jagarlamudi and Kangana, Manikarnika is woven around the life story of Rani Laxmibai and her campaign against the East India Company in the revolt of 1857, the first major revolt to happen in the country. Manikarnika also stars Ankita Lokhande and Danny Denzongpa in vital roles. The movie was released across 3700 screens worldwide. However, in India alone, the period drama has got 3000 screens including Hindi, Tamil and Telegu halls. The Kangana-starrer was not the only film which released this Friday. Nawazuddin Siddiqui’s Thackeray which has been directed by Abhijit Panse also hit the theatres this week. The movie is based on the life of Bal Thackeray, the founder of the Indian political party Shiv Sena. It also stars Amrita Rao in the lead role. Must watch movie, the acting of Kangana is outstanding and best acting in her Career. Manikarnika movie receive lots of love from Audience. The movie is all about Respecting Women and our Nation. That a Single women protect our Nation, we don’t have super hero’s at least super Women, Kangana played the role of Jhansi ki Rani in a movie. Movie also have a good Action and Inspiration for many peoples. Next articleLuka Chuppi- “Poster Lagwa Do” song Recreated!